Teertha is a specialist senior barrister and trial advocate with over 29 years of experience. He was appointed Queen’s Counsel in 2012 and a (Family) Deputy High Court Judge in 2016. Teertha also sits as a part time Circuit Judge (a Recorder) in the Criminal and Civil courts. His areas of expertise include complex domestic and international children cases such as relocation, cross-border parental abductions and acrimonious contact disputes. Teertha is also the go to person for Forced marriage and stranded spouse cases. He has spoken in the House of Commons and was named by Lord Lester in the House of Lords as one of the four senior pro bono lawyers behind the Forced Marriage Civil Protection Bill which became a statute in 2007. Hotly contested proceedings for clients who are running unpopular arguments before the courts are his forte. He has developed the ability present any case in its best possible light and has been known to have changed Judges’ minds in the most difficult of cases. He examines cases in detail and leaves no stone unturned. Teertha’s practice is widely spread geographically across England and Northern Ireland (and the Eastern Caribbean) in all levels of court from County court to the ECJ. To date, he has been involved in 10 full appeals in the UKSC/House of Lords. By way of example, he successfully led in the UK Supreme Court (Re T Children  UKSC 36 for CAFCASS) and has been the Advocate to the Court as instructed by the Attorney General (Re S a child  EWHC 3013 (Fam). He intervened on behalf of the Attorney General in MA and JA and The Attorney General  EWHC 2219 (Fam). Teertha has won numerous awards over the years to include the Jordan’s Family Law Barrister of the year and Chambers and Partners Family Junior before taking silk. Recently he won the prestigious award: Legal 500 Family Law Queen’s Counsel of 2018. Teertha has trained as a mediator and a collaborative lawyer. His aim is to be cost effective and to provide knowledgeable and straight forward advice. He likes to explore alternatives to litigation but ultimately, in court, he represents his clients persuasively and fearlessly. Teertha is available to his clients 24/7 (apart from when he is on holiday). Focuses on international children disputes, both public and private, many of which involve forensic investigation. He is universally commended for his personable advocacy style and his prowess in the courtroom. Sources see him as one of the foremost abduction silks. Focuses on international children disputes, both public and private, many of which involve forensic investigation. He is universally commended for his personable advocacy style and his prowess in the courtroom. One of the most eminent silks for cross-border children matters, and has a particular reputation for his work in child abduction. Sources consistently praise his friendly and approachable manner, and admire his technical abilities. A widely respected barrister who deals with the most complex and testing multi-jurisdictional matters. Child abduction cases are his strong suit. Has thrived since taking silk in 2012 and is highly respected for his work on cross-jurisdictional children cases. Recent work: Appeared on behalf of CAFCAS in the Supreme Court in Re: T. He successfully persuaded the Law Lords that the Court of Appeal was wrong in its analysis that costs follow the event in care cases. Teertha Gupta QC is an “exceptional advocate” whose ascension to silk in 2012 was, in the eyes of market observers, richly deserved. His principal area of focus is international children cases. Recent matters have included S (Wardship: Stranded Spouses), a case concerning a bride brought to the UK to marry a British citizen, who was then drugged and abandoned in Pakistan without a passport after giving birth. International child abduction specialist Teertha Gupta QC’s recent QC appointment is ‘a formal confirmation of a standard that he has worked to for many years now’. Teertha Gupta represents a recent excellent hire for the set. Noted for his encyclopaedic knowledge of the law and his interest in abduction and forced marriage, he is “an enthusiastic and thoroughly committed lawyer who gives it his all every time. Chambers & Partners Bar Awards 2008. Teertha Gupta is, like Setright, mightily impressing peers and clients with his expert understanding of international child abduction, forced marriages and matters relating to stranded spouses. Widely regarded as ‘one of the leading juniors,’ he has ‘courage and tenacity when faced with the toughest challenges’. 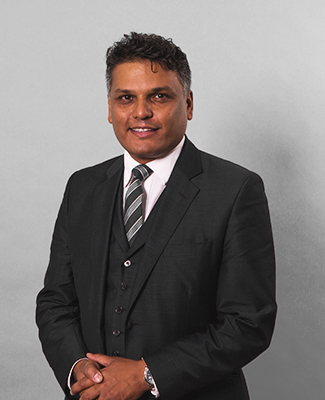 Described as ‘the cat’s whiskers’ by opposing counsel for his combination of ‘sophisticated legal knowledge, good cross examination and effective case presentation’, Gupta spends much of his time on cross border disputes regarding children. In addition he has established himself as one of only a tiny handful of experts in the niche area of international forced marriages. Gupta’s practice is heavily built on this topic and also child abduction cases. Clients find him ‘professional and expeditious’ singling him out as a ‘barrister who is going places’. Gupta is a great favourite of the Home Office-Foreign Office’s Forced Marriage Unit and is known for both his accessibility and his ‘unflinching devotion to the cause’. Teertha Gupta is ‘a rising star in international abduction work’. Teertha Gupta is highly recommended in forced marriage and child abduction matters. Teertha Gupta is widely viewed as the leading junior in forced marriage cases and is also highly recommended for his expertise in child abduction matters.